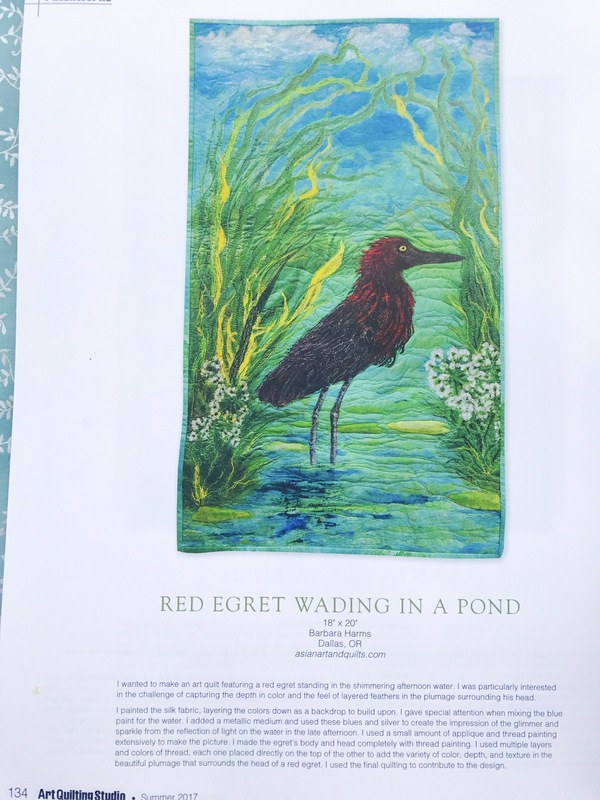 One of my art quilts appears in Art Quilting Studio’s summer issue. It was released June 1st. I am appreciative and excited to be included. 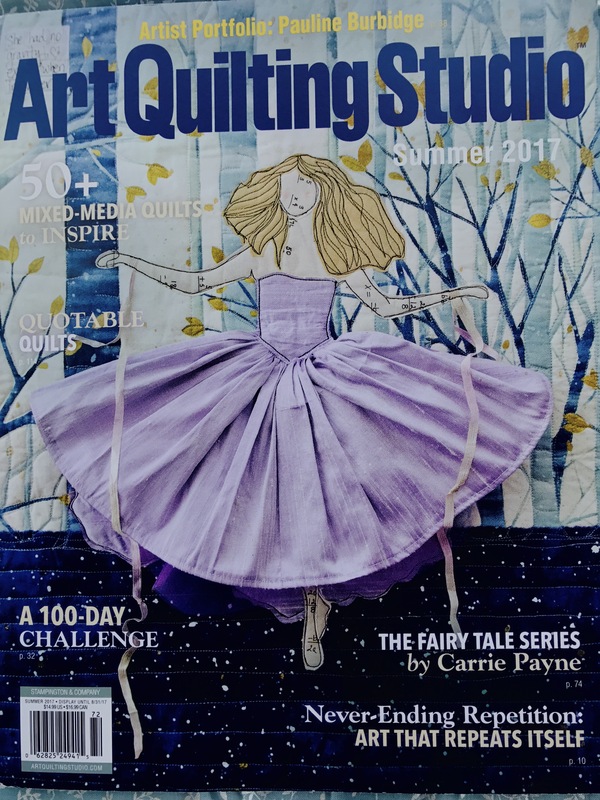 Art Quilting Studio magazine is visually stunning, containing beautiful photos of the quilts, often including closer views of the details.The content is informative, the kind of information that would be of particular interest to other quilt artists. The artists selected for inculcation are encouraged to share information about the construction of their quilt. They often include the techniques, materials and brands that they used, the kind of information that would be of particular interest to other quilt artists. As the sun sinks lower in the sky, its rays shimmer as they are reflected off the water. At the water’s edge stands a red Egret. I used silk as a backdrop for the initial painting. then thread painted the picture itself. I am especially proud of my egret. It’s plumage contains layers upon layers of different threads to create the depth of color.